Partly cloudy. Low 39F. N winds at 15 to 25 mph, decreasing to 5 to 10 mph. Higher wind gusts possible.. Partly cloudy. Low 39F. N winds at 15 to 25 mph, decreasing to 5 to 10 mph. Higher wind gusts possible. Raymond “Ray” Moore, 69, of rural Bellwood, died Monday, April 8, 2019, at his home. Mass of Christian Burial will be held at 11 a.m. on Friday, April 12, at Presentation Parish, Marietta, with the Rev. Walter Jong A. Keim, celebrant. Visitation will be from 9:30 a.m. until Mass time on Friday at the church. Committal will be at 2 p.m. on Friday at Holy Cross Cemetery in Schuyler. Lunch will be served at the church hall, immediately following Mass. Memorials may be made to family's choice. Clara Genevieve Prososki, 90, of Fullerton, passed away Monday, April 8, 2019, at Boone County Medical Center in Albion. Mass of Christian Burial will be at 10 a.m. on Saturday, April 13, at St. Peter's Catholic Church in Fullerton, with the Rev. David Fulton officiating. Burial will follow at St. Peter's Catholic Cemetery in Fullerton. Visitation will be from 5-7 p.m. on Friday, April 12, with a 7 p.m. scripture and rosary service at the church. Clara was born Aug. 23, 1928, to Charles and Helen (Siemek) Stanczyk in Clarks. She moved to Colorado in 1942, and graduated from Golden High School in 1945. She met Leonard Prososki in Fullerton while attending her sister's wedding. They were married June 14, 1954, in Colorado. They moved to Yuma, Arizona, while Leonard was in the service, and then moved to the Fullerton area where she lived for the rest of her life, most recently, living at Valley View Assisted Living. She worked at Morgan and Morgan Law Firm, and later at the Nance County Treasurer's and Assessor's offices, all in Fullerton. She was a member of St. Peter's Catholic Church and St. Ann's Altar Society. She enjoyed reading, crosswords, sudoku, and playing on her kindle. Most of all, she loved spending time with her family. She is survived by her children, Mike Prososki, Mark (Betty) Prososki, Michelle (Jeff) Anderson, and Mary (Tom) Hellbusch, all of Fullerton; four grandchildren and two great-grandchildren; brother, Leonard Stanczyk of Fullerton; sister, Mary (Dave) Richards of Golden, Colorado; brother-in-law, Frank (Irene) Prososki of Fullerton; and numerous nieces and nephews. She is preceded in death by her husband, Leonard; her parents; brothers, Raymond and Alvin; and sister and brother-in-law, Dorothy and Alphonse Shotkoske; and sister-in-law, JoAnn Stanczyk. Linda J. Inselman, 73, of Greeley passed away on Sunday, April 7, 2019 at her home. She was born October 15, 1945 to John & Jeannette (Wolfe) Wolta in Denver. Memorial service will be 10:00 a.m. on Friday, April 12, 2019 at the Moser Funeral Service Chapel. An online guestbook and obituary are at www.moserfuneralservice.com. Hailey Jordan Bohaty, 23, passed away March 29, 2019. Celebration of Life: 11 a.m., Friday April 12, 2019 at St Mark's United Methodist Church, Lincoln. William "Bill" Suiter Jr., of Columbus, Nebraska, died Friday, April 5, 2019, at Brookestone Acres in Columbus. The funeral service will be held at 10:30 a.m. on Tuesday, April 9, at St. John's Lutheran Church, (12.5 miles north), rural Columbus, with Rev. Brad Birtell officiating. Interment will be in the parish cemetery. Visitation will be on Monday from 5-7 p.m. at Gass Haney Funeral Home and continue on Tuesday from 9:30 a.m. until service time at the church. There will be a family prayer service at 10:15 a.m. on Tuesday at the church. William “Bill” Suiter Jr. was born on July 8, 1942, in Beatrice, Nebraska, to William Sr. and Genevieve (Perry) Suiter. He attended elementary and high school in Marysville, Kansas, and graduated in 1960. He married his love Kathryn “Kathy” Thomas in 1968 at Grundy Center in Trenton, Missouri. They were blessed with two children; William “Bill” III and Ann both of Columbus, Nebraska. After marriage in 1968, they moved to many different places throughout Kansas and Nebraska, spending much of their early years in Marysville, Kansas, until settling in Columbus, Nebraska, in 1984. Bill enjoyed many adventures of camping, boating, Boy Scouts, and hunting with his family. He especially enjoyed early morning hunting outings with Bill Sr. and Bill III throughout the years. Jamesport Amish antique auctions, Branson trips, the Ozarks, and Estes Park were some favorite vacation spots which led to new friendships and many stories. Of course, four-legged furry buddies were a man's best friend and through the years many hounds shared his love. He'd say, “These guys have it better than some kids!” They were special to him. Technology was a way of communication for a guy who was hard of hearing and many were privileged to be on his favorites texting list. Those messages are priceless. Bill's heart was full of giving and he would lend a hand to anyone who needed help and would volunteer his talents if he could help. Even when he was weak, he could still drive someone or supervise a gathering. He loved being with people sharing stories, joking, being with friends and he usually made a new friend everywhere he went. Gathering and lunching at Wendy's was a social network that kept Bill in the know! He sure appreciated the Wendy's crew. Family was most important to Bill. His unconditional love for his kids and grand-kids were felt through his words, guidance, and wisdom. He was very proud of his children's accomplishments and would bend your ear with a few stories. Then came “The Girls and Big Will.” These treasures would light up his day with giggles, horseplay, and lots of hugs for PAPA! He loved to watch them sing, dance and play ball. Bill retired at 49 years old from the workforce due to cardiac disease having spent time at Wonder Bread, Wheelers, Firestone, J&M Auto, and Columbus Tire. Bill was heart transplant #107 from Bryan Heart Hospital in Lincoln, Nebraska, Thanksgiving 1999. That gift of life gave so many wonderful memories to him and our family. His faith and positive attitude got him through the rough days because he always believed, “It's all up to the Man upstairs.” We are beyond grateful for the gift of time and cherished blessings. Bill was preceded in death by his wife, Kathryn Suiter; parents, William Sr. and Genevieve Suiter; mother and father-in-law- H.C. “Whistle” & Margaret Thomas; sisters and brothers-in-law,Phyllis Booth, Lois and Duane Palmer, Corky and Dan Holm, James and Beverly Thomas, and David Thomas. Bill is survived by: Bill III (Shantelle) Suiter of Columbus, Nebraska; daughter, Ann (Mike) Babel of Columbus, Nebraska; grandchildren, Genevieve, Elisabeth, and Annamarie Suiter, Lily Wemhoff and Will Babel all of Columbus, Nebraska; brother-in-law, Paul Thomas of Kingston, Missouri; sister-in-law, Marge Thomas Clark of Trenton, Missouri; many nieces and nephews. Bill enjoyed many adventures of camping, boating, Boy Scouts, and hunting with his family. He especially enjoyed early morning hunting outings with Bill Sr. and Bill III throughout the years. Jamesport Amish antique auctions, Branson trips, the Ozarks, and Estes Park were some favorite vacation spots which led to new friendships and many stories. Of course, four-legged furry buddies were a man’s best friend and through the years many hounds shared his love. He’d say, “These guys have it better than some kids!” They were special to him. Technology was a way of communication for a guy who was hard of hearing and many were privileged to be on his favorites texting list. Those messages are priceless. Bill’s heart was full of giving and he would lend a hand to anyone who needed help and would volunteer his talents if he could help. Even when he was weak, he could still drive someone or supervise a gathering. He loved being with people sharing stories, joking, being with friends and he usually made a new friend everywhere he went. Gathering and lunching at Wendy’s was a social network that kept Bill in the know! He sure appreciated the Wendy’s crew. Family was most important to Bill. His unconditional love for his kids and grand-kids were felt through his words, guidance, and wisdom. He was very proud of his children’s accomplishments and would bend your ear with a few stories. Then came “The Girls and Big Will.” These treasures would light up his day with giggles, horseplay, and lots of hugs for PAPA! He loved to watch them sing, dance and play ball. Bill retired at 49 years old from the workforce due to cardiac disease having spent time at Wonder Bread, Wheelers, Firestone, J&M Auto, and Columbus Tire. Bill was heart transplant #107 from Bryan Heart Hospital in Lincoln, Nebraska, Thanksgiving 1999. That gift of life gave so many wonderful memories to him and our family. His faith and positive attitude got him through the rough days because he always believed, “It’s all up to the Man upstairs.” We are beyond grateful for the gift of time and cherished blessings. Gladys E. Schomburg, 95, of St. Edward passed away Thursday, April 4, 2019, at Cloverlodge Care Center in St. Edward. Memorial services will be 10:30 a.m., Thursday, April 11, at the United Methodist Church in St. Edward, with Rev. Vern Olson officiating. Inurnment will follow at Evergreen Cemetery, St. Edward. Visitation will be 1 hour prior to the service at church. Gladys E. Schomburg, the daughter of Herschel and Onie (Vanarsdal) Grape, was born on April 16, 1923 at St. Edward. She attended schools in St. Edward and Genoa, NE and graduated from Genoa High School in 1939. On March 14, 1943, Gladys was united in marriage to Robert Schomburg at the Lutheran Church in Fullerton, Nebraska. Following their marriage, the couple resided on a farm outside of St. Edward. Gladys was a farmer's wife, but also worked as an inspector for B-D Medical in Columbus, Nebraska, where she later retired from. Gladys enjoyed vacationing with her husband, as well as her nephew Doug. She also loved her beloved dog, Prince. Gladys was a member of Trinity Lutheran Church in Columbus and was also a member of the Methodist faith. Gladys is survived by one sister, Donna (Duane) Werts of St. Edward; special friend: Leonard Lowe of St. Edward; as well as several nieces, nephews and friends. She was preceded in death by her parents; husband Robert; one brother and seven sisters. Miller-Levander Funeral Home of St. Edward, Nebraska, is in charge of arrangements. Condolences may be sent to the family at www.huffmanlevander.com. In lieu of flowers, Memorials are suggested to St. Jude Children's Hospital or to the donor's choice. Trever Erickson, 31, of Elk Point, South Dakota, died Tuesday, April 2, 2019, at Elk Point. Funeral services will be held at 10:30 a.m. Monday, April 8, at St. Mary's Catholic Church in Norfolk. The Rev. Scott Schilmoeller will co-officiate with Chaplain Steve Peters, with burial in Thabor Lutheran Cemetery in Wausa. Military Funeral Honors will be conducted by 185th Air Refueling Wing Base Honor Guard and American Legion Riders. Visitation will be from 3-8 p.m. Sunday at Brockhaus-Howser-Fillmer Funeral Home in Norfolk, with a 7:30 Vigil Service. Trever Nathan Erickson was born to parents Kim and Nancy (Koehler) Erickson on Jan. 23, 1988, in Osmond. Trever was baptized and confirmed at St. Andrew's Catholic Church in Bloomfield. He graduated from Wausa High School in May 2006. On March 3, 2006, Trever enlisted in the U.S. Air Force as a Security Forces member. During his active duty military career, Trever was stationed at Offutt Air Force Base Omaha, Incirlik Air Base, Turkey, Joint Base Pearl Harbor Hickam, Hawaii, and Mountain Home Air Force Base, Idaho. In 2014, he enlisted in the Nebraska Air National Guard, Lincoln. In 2015, he transferred into the Iowa Air National Guard, Sioux City. During his military career, he served in support of Operations Iraqi Freedom, Enduring Freedom, New Dawn, Freedom Sentinel, and Inherent Resolve. Trever was awarded numerous medals and ribbons to include the Air Force Commendation Medal (Oak Leaf Cluster), Air Force Achievement Medal (3 Oak Leaf Clusters), Air Force Good Conduct Medal (Oak Leaf Cluster), Afghanistan Campaign Medal, and Iraq Campaign Medal (with Silver Star). For more than three years, Trever has served with the 185th Air Refueling Wing as a valued Mentor, Wingman, and Defender of the Force. He will be missed by his brothers and sisters in Arms. On Oct. 23, 2015, Trever married Jet Galicia. They met while Trever was deployed in Qatar in 2011. He enjoyed spending time with his family, hunting, golfing, meat smoking and woodworking. Survivors include his wife, Jet Erickson of Elk Point, South Dakota; daughter, Leilani Galicia of Elk Point; father, Kim (Tammy Marshall) Erickson of Neligh, mother, Nancy Erickson of Wausa; brothers, Tyler (Jill) Erickson and their children Grant, Noah, Eli, and Emma of Columbus, and Travis (Staci) Erickson of Omaha, Nebraska; grandmothers, Arlis Erickson of Norfolk, and Arlis Koehler of Wausa; mother-in-law, Rosa Reyes; brother-in-law, Genesis (Dianne) Galicia and their children Nevaeh and Kaylie; sisters-in-law, Viera Galicia and Ana Reyes; nephew, Darian Morales; aunts, uncles, and cousins; as well as many, many friends. He was preceded in death by his grandfathers, Gary R. Erickson and Vernon C. Koehler. Hailey Jordan Bohaty was wrapped in the loving arms of God on Friday, March 29, 2019, in Phoenix, Arizona at the age of 23. Hailey was born March 1, 1996, in Lincoln at St. Elizabeth's Hospital. She completed the Bohaty family upon her adoption with Rick and Renee Bohaty. As a loving daughter, granddaughter, niece, cousin and friend, Hailey shone her beautiful smile that melted the hearts of all those around her. She loved spending time with family, friends and her dogs. Growing up in Lincoln, Hailey was active in dance, sports, theater and many other activities. Hailey was an accomplished gymnast, a passionate volleyball player, a spirited softball player as well as a standout high school sprinter. Hailey graduated from Lincoln East High school in Lincoln in 2014. More than just an athlete, Hailey's spirit and heart made her a strong advocate for anyone who needed help or was considered an underdog by others. Hailey had a great gift for making friends and never met a stranger. Hailey was passionate about helping people in need. Being an organ and tissue donor was very important to her. As a donor to Donor Network of Arizona, she was able to help save many lives. Her passion and creativity for make-up and music led her on many entrepreneurial adventures during and after high school. Hailey taught us many lessons in her short life here on earth. Be kind to others. Reach out to those in need. Love unconditionally. Live each day to its fullest. Be an organ donor. Hailey is survived by her parents, Rick and Renee Bohaty of Lincoln, grandparents, Doug and Barb Bohaty of Columbus, Janice Bohaty of Papillion, Joe and Betsy Heskew formerly of Council Bluffs, and Phyllis Olson of Columbus; uncles and aunts Jeff and Karen Olson of Deerfield, Wisconsin, and Randy and Lisa Bohaty of Papillion; As well as other aunts, uncles, cousins and extended family. She will be deeply missed by all those who knew and loved her. Hailey was preceded in death by grandparents Ralph Olson, John Jefferson, Evelyn and Lester Willis, Hulda Barr, Ethel and Victor Bohaty, and Frieda and Edward Hejtmanek. For those wishing to donate to Hailey J Bohaty memorial fund can go to https:/give.chihealth.com/hailey.To make a donation by check, please make payable to St. Elizabeth Foundation - Hailey Bohaty Fund, and mail it to 555 S. 70th St, Lincoln, NE 68510. A Celebration of Life for Hailey will be at 11 a.m. Friday, April 12, at St Mark's United Methodist Church, 8550 Pioneers Blvd, Lincoln, NE 68520. Condolences at Wyuka.com. Crystal S. Ranslem, 32, of Temple, Texas, formerly of Albion, passed away Sunday, March 31, 2019, at Baylor Scott and White Medical Center in Temple, as the result of an automobile accident. A Memorial Mass of Christian Burial will be at 10:30 a.m. on Monday, April 8, at St. Michael's Catholic Church in Albion, with the Rev. Mark Tomasiewicz officiating. Visitation will be from 5-7 p.m. on Sunday, April 7 at the church, with a 7 p.m. wake service. Inurnment of her ashes will be at a later date at Bonanza Akron Cemetery in rural Albion. Condolences may be sent to the family at www.levanderfuneralhome.com. 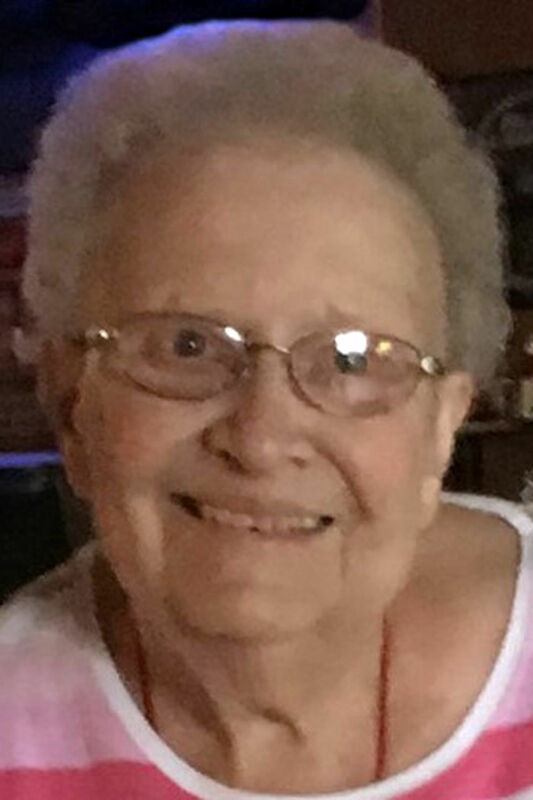 Barbara Jane Swanson, 88, of Genoa, died Friday, March 29, 2019, at the CHI Health Good Samaritan Hospital in Kearney. A memorial service will be held at 11 a.m. on Saturday, April 6, at Augustana Lutheran Church in Genoa, with the Rev. Myron Meyer officiating. Interment will be in the Valley View Cemetery. Visitation will be from 5-7 p.m. on Friday, April 5 at the church, and from 10-11 a.m. on Saturday at the church, with a 10:45 a.m. family prayer service. Barbara Jane was born Dec. 25, 1930, in Genoa, to Elmer and Gladys (Bradshaw) Lowe. She went to country school at District 66 and Big Cut 1-11th grade, then graduated at Genoa High School in 1948. On Dec. 18, 1949, she married Kenneth Harry Swanson. They raised four children: Jim, Jo, Mick, and Lorrie. Throughout her life, she worked at Ramaekers' Home, Dale's, Genoa Community Hospital, and Genoa Pawnee Center. She enjoyed watching the Huskers, playing cards, reading books, knitting and crocheting, gardening, cooking, watching and listening to Lawrence Welk, playing in Pawnee Senior Band, and visiting family, friends, and neighbors. Thank you all for your prayers she is in peace now. Roger John Bone, 79, of Fullerton, died Monday, April 1, 2019, at his home after a lengthy battle with Waldenstrom Macroglobulinemia cancer. Services will be 10:30 a.m. Thursday, April 4, 2019 at Palmer-Santin Funeral Home in Fullerton with Jonathan Santin officiating. Burial will follow at Fullerton Cemetery in Fullerton with military honors by Fullerton American Legion Post 151. Visitation will be 5-7 p.m. Wednesday, April 3rd at Palmer-Santin Funeral Home. Palmer-Santin Funeral Home is in charge of the arrangements. COSTA MESA, Calif. -- Elizabeth Jane Blevins died March 27, 2019, in Costa Mesa, California. Born in Kennekuk Kansas on Dec. 26, 1919, she was the daughter of the late Jerry and Estella Trojovsky. Raised on a farm in Kennekuk, Kansas, she attended public schools there, graduating from Horton High School in 1938. She went on to pursue nursing training, funded with earnings from being crowned Queen of the Horton Jubilee festivities. Her nursing training was interrupted when she met a pharmacist, Harold Blevins, and in October 1939, they married. The couple settled down in Shelby, Nebraska where Harold ran Blevins Pharmacy, and later had Blevins Drive in Pharmacy, in Columbus. They raised four children, Judy, Karen, Hal and Angie. Jane was a homemaker and mother and an artist, making oil paintings of farmhouses and watercolor landscapes of Nebraska. She also created wood carvings and made sculpted heads of famous Nebraskans, John Dunning and Arjay Miller. These are on display at the Shelby Public Library. During their life together Jane and Harold enjoyed square dancing and bridge. For many years, Jane played the organ and piano at the Methodist church in Shelby. She leaves her children, Judy Mohl from Ypsilanti, Michigan, Hal Blevins (Peggy) from Omaha, Nebraska and Angie Blevins (Michaela Loisel) from Hallowell, Maine, eight grandchildren, 14 great grandchildren and three great-great grandchildren. She was predeceased by her husband Harold, daughter Karen and three siblings. Carol A. Debower, 81, of Norfolk, passed away Monday, April 1, 2019, at Faith Regional Health Services in Norfolk. Carol was born in Los Angeles on March 22, 1938, to her parents, Claire and Delma (Rhea) Connerley. She is survived by her daughter, R.J. Debower of Norfolk, sons, Richard Debower of Schuyler and Ross (Pam) Debower of Columbus, and grandchildren Ross, Koy and Julia. Carol was preceded in death by her parents and brother, Richard Connerley. Marjorie Mae Korte, 96, of Columbus, died Sunday, March 31, 2019, at Brookestone Acres in Columbus. The funeral service will be held at 10:30 a.m. on Friday, April 5, at Christ Lutheran Church, with the Rev. Aaron Witt officiating. Interment will be in the parish cemetery. Visitation will be from 5-7 p.m. on Thursday, April 4, at Gass Haney Funeral Home, and will continue from 9:30 a.m. until service time on Friday at the church. There will be a family prayer service at 10:15 a.m. on Friday at the church. In lieu of flowers, memorials may be directed to Christ Lutheran School or family choice. Marjorie Mae Korte was born on Feb. 14, 1923, to Herman and Elsie (Arndt) Wolfe, in Columbus. She was baptized and confirmed at Immanuel Lutheran Church in Columbus. Marjorie attended school in Columbus and graduated from Kramer High School in 1941. Prior to her marriage, Marjorie worked at Scott's Dime Store and then for her father at Beatrice Creamery in Columbus. On June 16, 1946, Marjorie was united in marriage to C. Walter Korte at her parents' home. They made their home on Walter's family's farm where they raised three children. In addition to her work on the farm, Marjorie spent many years as a custodian of the Christ Lutheran Church and school buildings. Marjorie was a faithful member of the church, serving as a member of the Altar Guild, Ladies Aid, and LWML. She also served on the Sherman Township Election Board. Marjorie enjoyed baking, canning, gardening, playing cards with friends, and most of all, spending time with her children, grandchildren, and great-grandchildren. Marjorie is survived by daughter, Rachel (Bill) Braithwait of Columbus, granddaughter, Traci Nekoliczak of Greeley, great-grandsons, Nathan, Noah, and Kyle Nekoliczak; daughter, Enid (Jerry) Macken of Cozad, granddaughter, Kiyvon Macken of Lincoln, grandson, Casey (Julie) Macken of Grand Island, great-granddaughters, Olivia, Liliana, and Kinley Macken; son, Wendall (Kathy) Korte of Columbus, grandson, Drew (Ashlee) Korte of Norfolk, great-granddaughter, Ella Korte, granddaughter, Alicia Korte of Austin, Texas; sister-in-law, Erna Wolfe of Columbus; brother-in-law, Vernon (Joyce) Korte of Columbus; many nieces and nephews. Marjorie was preceded in death by parents, Herman and Elsie Wolfe; husband, C. Walter Korte; sister, Geraldine (Lawrence) Bakenhus; brother, DeVerne Wolfe; grandson-in-law, Jerry Nekoliczak.